At work, it is clutter has a negative effect on productivity. Similarly, too much stuff at home can be detrimental to your physical and mental heath. Have you accumulated more “stuff” in your home than you’d like to talk about? If you answer “yes,” you’ve got lots of company. Clutter, stuffed closets, and unusable garages were discussed recently on national television. Currently, it is a national problem. Nowhere else, do people spend so much money to store their “stuff” in storage facilities. 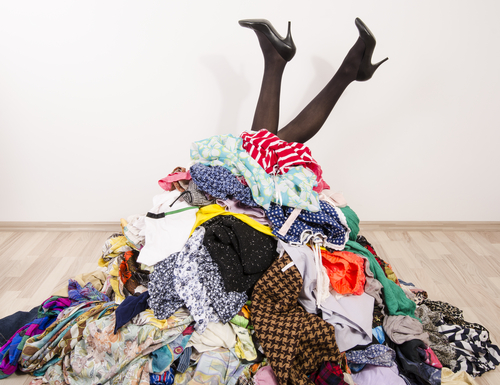 The clutter doesn’t stop in our closets, cabinets, or drawers. 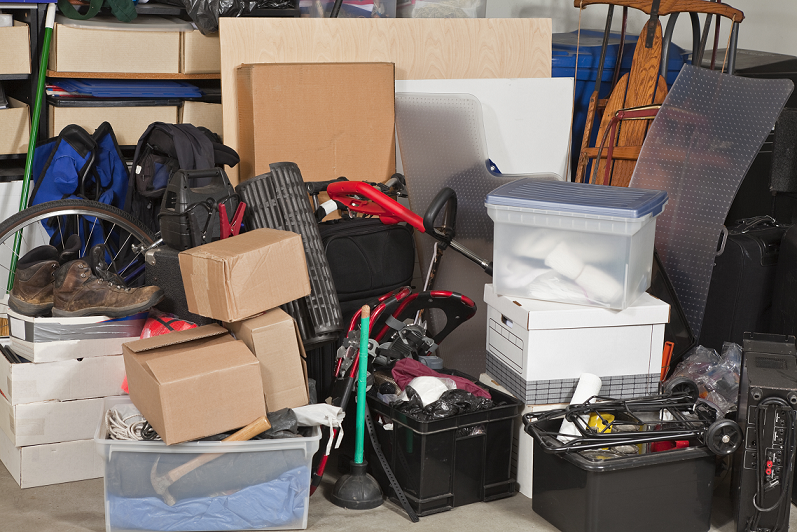 It is reported, “Almost 1 in 4 Americans say their garage is too cluttered to fit their car. In their survey, although 92% of people describe their home as Very/Somewhat Organized, 30% keep the garage door shut so neighbors don’t see the mess. Increased fatigue. You never feel things are in order and it saps your energy. Wasted time. Some say we waste the equivalent of 1 year of life looking for items. Extra costs: It is hard to find bills, but easy to be penalized with late fees and interest. You buy things you already have but forgot about. Preventable accidents. Items left on the floor or piled on shelves are the cause of many home accidents. Tardiness: You lose time searching for papers or items that are covered with piles of papers or clothes. Dissatisfaction and negative mood. You may feel that things are out of hand and will never get better. Your home does not contribute to a positive atmosphere. Increased distraction: It is hard to focus on getting things done when you can’t find what you need. Deceased creativity. Mess and too much stuff saps your creative juices. Set aside time to de-clutter on a regular basis. How about once a month or once a quarter? For example, when it is time to pay the bills, leave 40 to 50 minutes to de clutter one closet or drawer. Set guidelines. For example, if you haven’t used an item in 2 years, chances are you don’t need it. “Cluttered Mess to Organized Success Workbook: Declutter and Organize your Home and Life” by Cassandra Aarssen – with over 100 Checklists and Worksheets. There’s never a better or best time to de-clutter and organize. Life will always be busy. But if you take it one step at a time and make it a practice to keep clutter away you’ll experience far less stress and experience far greater productivity, physical and mental health and wellness! If you have tried to clear out the clutter and haven’t been successful, let’s talk. Contact me: geri@managingyourmind.com. Book Dr. Markel to Speak at Your Next Event? Connect Today!